We met Henryka and Anna on Tuesday morning in Lubatowa to walk through the cemetery. 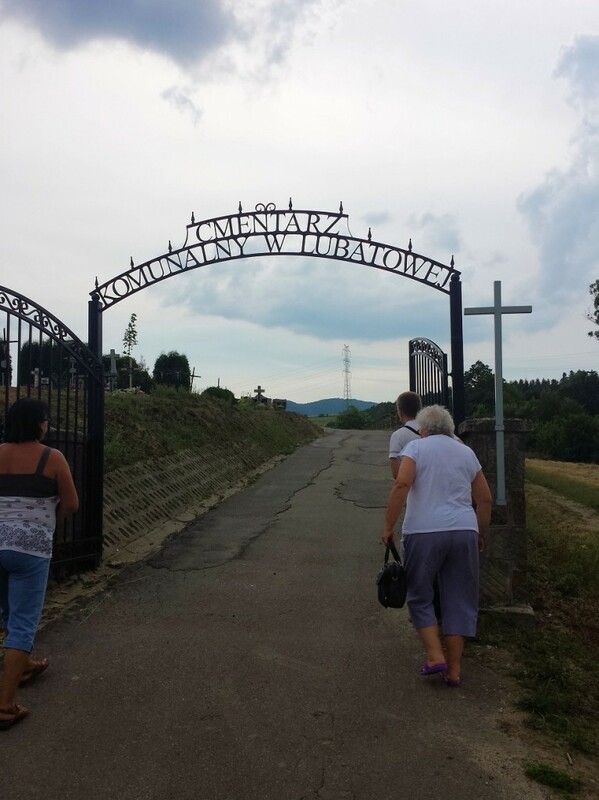 Henryka showed us her husband’s and father’s gravesites. The cemetery was amazing, like nothing I had ever seen before or imagined. Zenon met us at the hotel about 9:00 and we laid out plans for the day. He had contacted cousins in advance of my arrival and we were scheduled to meet at their home that evening so the challenge was to fill up the day. I had done much research prior to my arrival to avoid spending too much time stuck inside a church or archive searching for records. Because of this I had birth and marriage records for many of my ancestors. This turned out to be both good and bad! For while I discovered additional family information that would help me while in Poland I missed the actual ‘Discovery’ events that I might have had upon seeing these records for the first time. In the end I am glad that I did that research in advance as we had a difficult time getting access to records at the church. 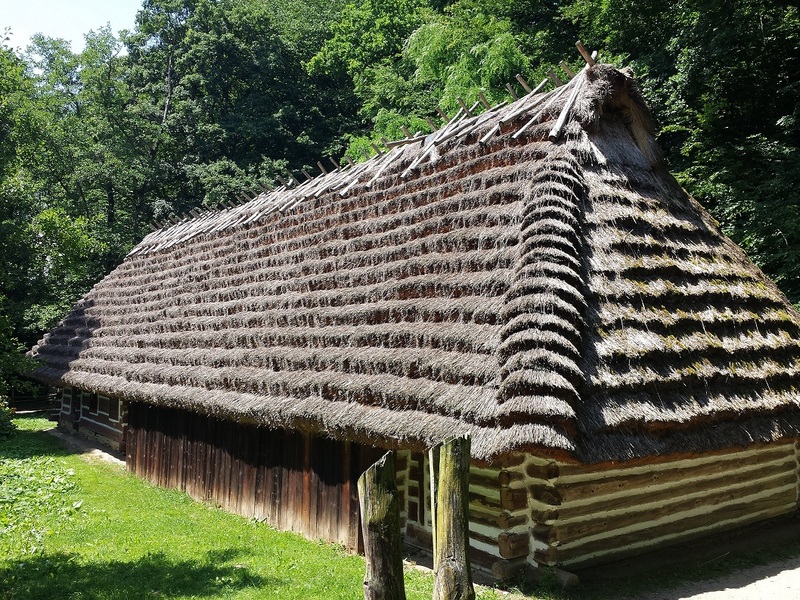 Zenon took us to the Rural Architecture Museum (Skansen) in Sanok to give us an idea of what life might have been like when my ancestors lived in this area. The beautifully re-created buildings, churches and villages was well worth the time. The open air museum covers many acres. Planning for my Poland Adventure began in 2011. I had been researching my family history for about 2 years before. I discovered the name of the village in Poland where my ancestors originated from. With that knowledge in hand I began thinking about actually travelling to Poland. Researching guide services quickly lead me to PolishOrigins as one of the top options. The moving accounts of other’s visits and their testimonials not only accelerated my planning but pretty much made my decision on which organization I would rely on to help me during my visit – “PolishOrigins”. I originally set my sights on travelling to Poland in the summer of 2013 (read the first part of Rick’s story written in 2013), but then work got in the way and I was forced to alter my plans. As the summer of 2014 approached I was able to lock in a July date with Zenon and make travel arrangements. My Borek Family 7 Discoveries. So Far! From as far back as I can remember I knew that my fathers family emigrated from Poland but that is the extent of the information I had. As with most kids I was curious but did not actively pursue additional information from my grandparents. When we did ask Grandpa about his family he and Grandma were quick to change the subject. I have never discovered why! Grandpa would, on occasion, speak to someone in Polish but that is the extent of my exposure. The chance to pursue getting information from him is gone as he passed in 2003.